Men just love this shave soap. Bentonite clay helps give the product glide while the lathanol adds extra lather. 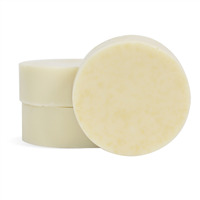 Pair this up with a shaving brush and mug for the soap and you will have an upscale product to add to your mens line. To large measuring cup, add 16 oz. cut up Shea Butter Soap and heat in microwave until completely melted. Place soap molds on jelly roll pan and set aside. Add 0.50 oz. Fragrance to melted soap and mix. Add 1 oz. Clay* and 0.50 oz. Lathanol to a clean measuring cup. To this measuring cup, add enough melted soap to dry ingredients to make a paste. When there are no clumps remaining, add back to the rest of melted soap and mix together. 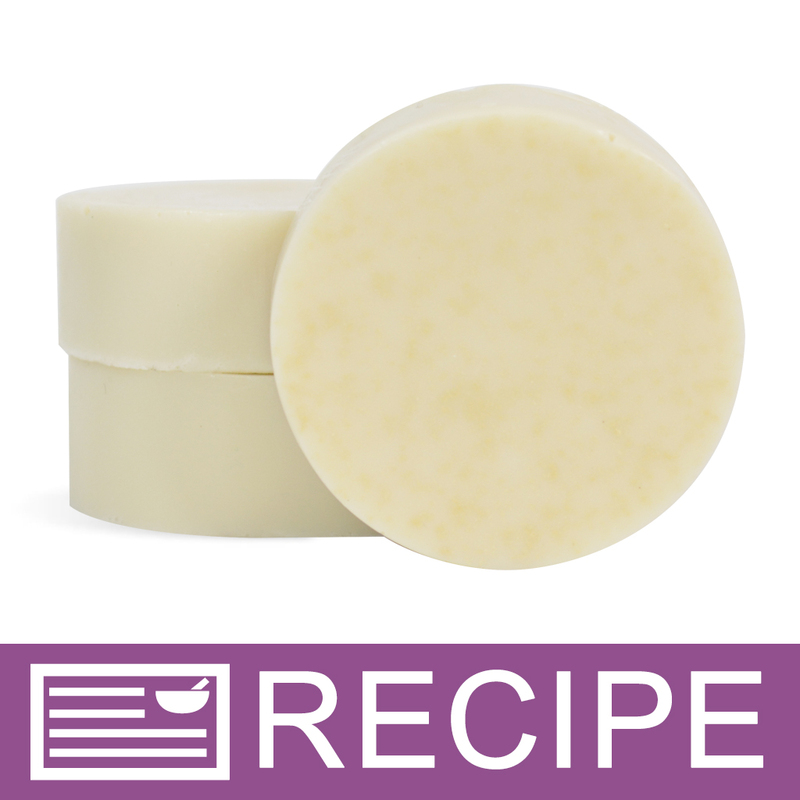 Pour soap into mold cavities and spritz with rubbing alcohol. Allow soap to harden completely and then remove from molds. Repeat steps 1 through 7 to make remaining soaps. Package 3 bars of soap in a Cello Bag and tie with Raffia. To Use: Lather onto wet skin using hands or brush. Shave as usual. *6/2018 - Due to the unavailability of kaolin clay, we have substituted bentonite clay in this recipe. The product will be slightly darker in color than the picture shows. Ingredient Label: Glycerin, Propylene Glycol, Water, Sodium Cocoate, Sodium Stearate, Sorbitol, Bentonite Clay, Sodium Myristate, Shea Butter, Titanium Dioxide, Fragrance, Sodium Lauryl Sulfoacetate. "I made this recipe and everything worked out fine but the guys that tested it said while it lathered well it left their skin feeling dry. Is there a moisturizing agent that could be added and if so what would you recommend and how much would you use?" Staff Answer You could add an oil that would provide some glide to the shave soap, such as avocado, castor or hemp. The amount would need to be tested as too much will cut down on the lather the soap creates. You could also increase the Lathanol if needed. Hi, you could try the “Shave and Shampoo” soap base instead, even mixed half n half you’ll see a difference. If you wanted to use it at 100% for even more moisture and keep the light color in this recipe there are several options you could use to color the bars. And my best tip, though you’ll have to shop around for this, is DL-Panthenol. Just 1-2% will give you lovely soft skin that stays soft! Best of luck! "Do you need to add a preservative to this recipe?" 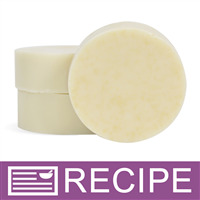 Staff Answer It is not necessary to add a preservative to this recipe as the soap is already preserved. If you wanted to add a preservative because of the water contact this product would have, we would recommend using the Preservative-Water Soluble. "Help! I can't get the clay to completely dissolve and I end up with specks at the bottom of my shave soap. Any tips?" Staff Answer You may need to get the soap a little hotter so the clay blends in better. Also, be sure to make a paste as directed in the recipe. You may not completely get all the clay dissolved, though, and may have a little speckling once the soap has set up. "Can this be poured into tins?" Staff Answer We do not recommend using tins because they will come in contact with water when shaving and this will cause the tins to rust. "Do I have to add the SLSA?" Staff Answer The Lathanol Powder adds additional lather to this product. You can omit from the recipe if you prefer not to use it. You could add Bubble Up to the soap but you would need to test this to be sure the soap performs properly. "Does this kit for this price have 16 shave brushes in it?" Staff Answer No, the shave brushes are not included in this kit. All of the items that come with this kit are listed on the Additional information page for this kit.